To be honest, when I got engaged, a wedding cake was near the bottom of my list of priorities. I had so many other seemingly more exciting things to worry about. Through Pinterest, I was able to curate a collection of wedding cake ideas and pan on using them to assist me in my cake planning. I love the small scale and simplicity of this cake. I know I want buttercream with maybe some fresh flowers. This cake encompasses all those things. Ruffles… I mean, need I say more? 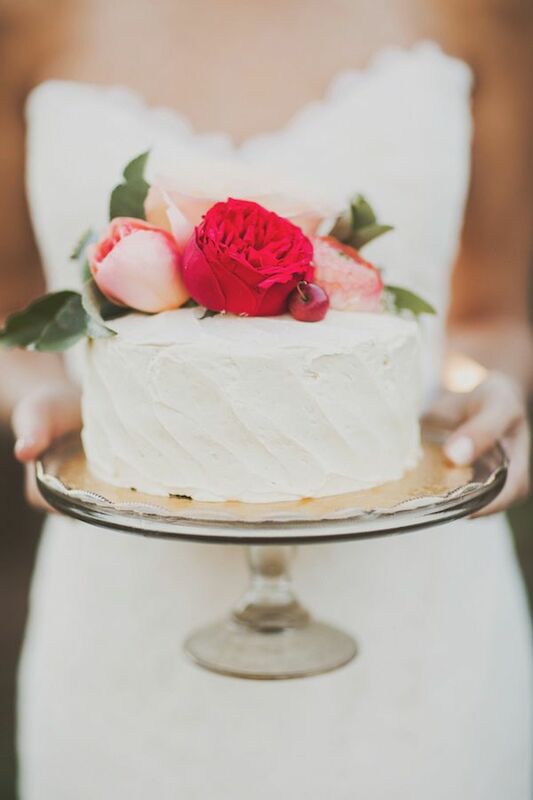 I LOVE “naked” cakes. This cake is beautiful, natural and very rustic. 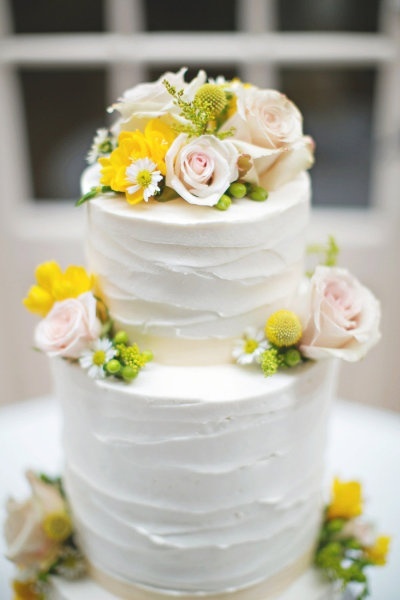 Here’s another great example of a simple, small, buttercream cake with flowers for decoration. 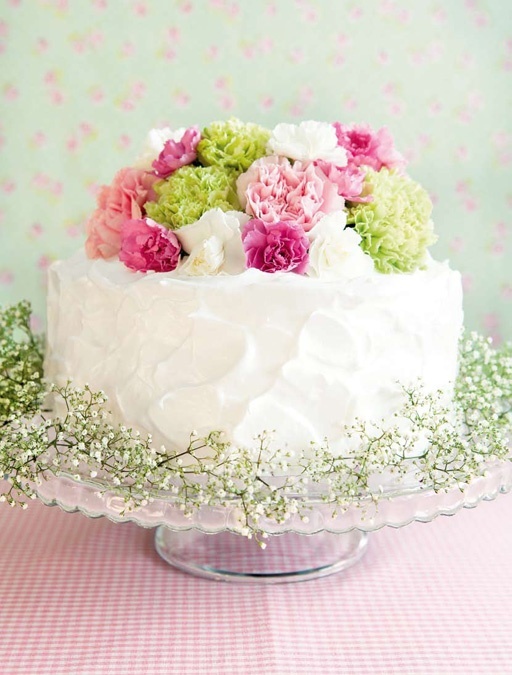 Plus, the baby’s breath around the cake is very delicate and beautiful. 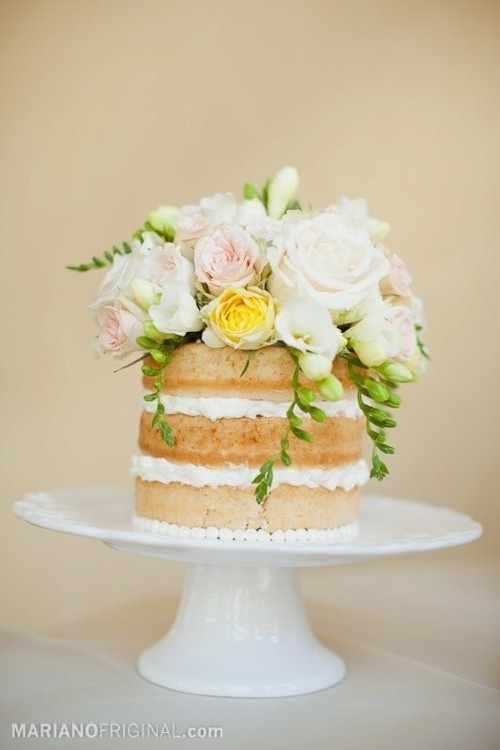 I love this two-tier cake with it’s bright, natural looking flowers. Ooh I’ve never seen that “naked” type of wedding cake before. Very cool!! 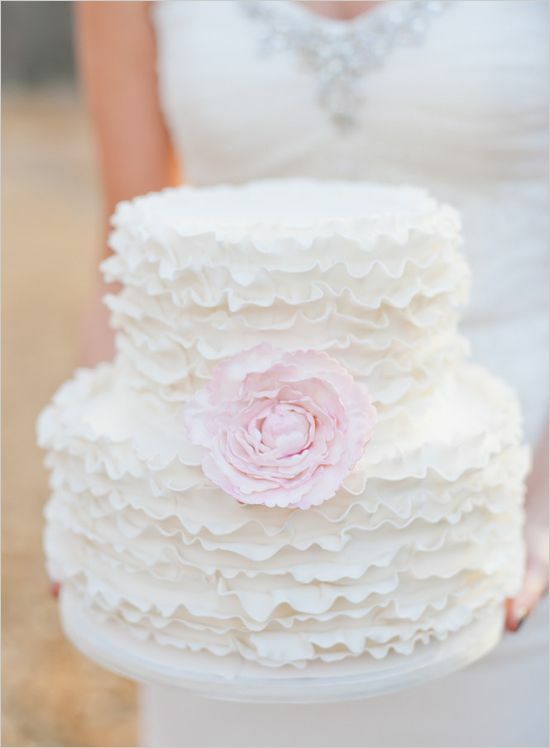 It’s definitely one of my favorite wedding cake styles!